Track your time accurately with just a tap. Monitor your employees in real-time with GPS tracking. Integrate with over 30 third-party softwares. Automatic Payroll and timesheets for effortless job costing. Hubstaff's Android time tracking app allows you and your workforce to track their time accurately no matter where they go. Just choose the project and simply tap a button to start tracking time to it. The app will continue tracking your time in the background while you go about your business, even if you need to use other apps on the phone. Always have exact records of how long you work on different projects and never manually record your time again. Automatic timesheets to your rescue! Say goodbye to manually entering your work time. 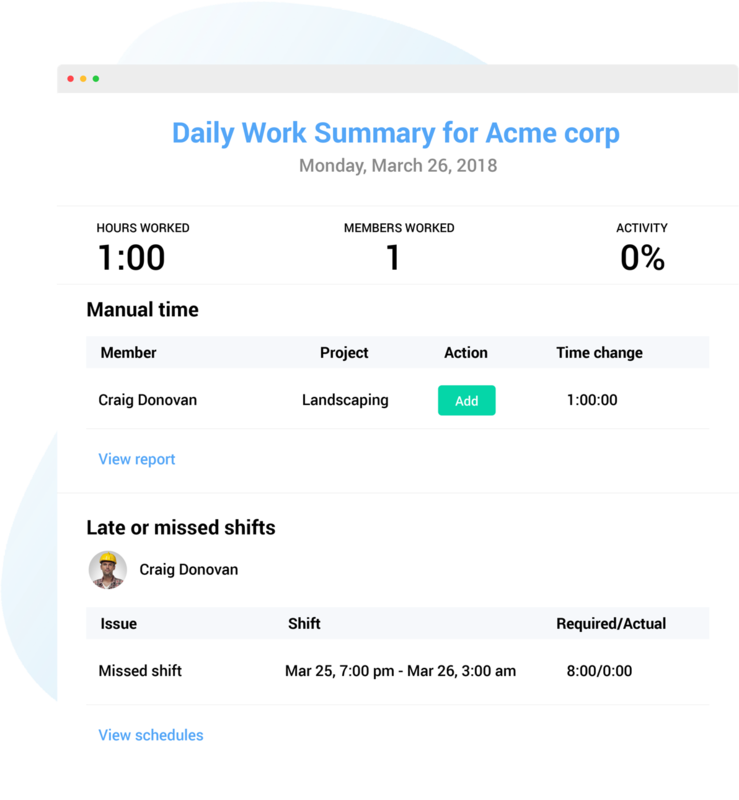 You and your team members can just hit the start button before working and the stop button when you're done and Hubstaff will automagically prepare the timesheet for everyone who’s tracking time. Hubstaff's automatic reports make it simple to invoice your clients and maintain internal records. Filter the reports by date, user, and project before downloading or emailing them. The reports are always available online so you'll never have to worry about storing records again. When you monitor employee internet activity, you can see websites in the reports as well.